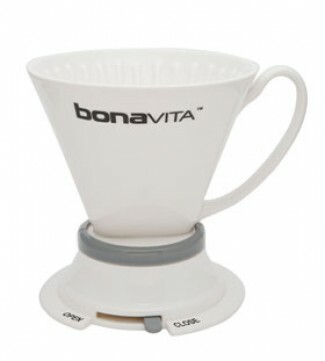 The Bonavita Wide Base Porcelain Immersion Dripper is simple, yet complete, with helpful features like an open/close switch and a fitted lid that keeps water hot while brewing. With a brewing capacity up to 16 ounces, you can get balanced and flavorful coffee in single serving batches. This porcelain dripper conveniently delivers a great cup of coffee. Pair it with a Bonavita kettle for the perfect pour-over package. It fits common size #4 paper filters as well as permanent filters. The simple design means easy clean-up when you’re done brewing. 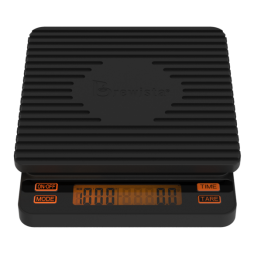 We love the cup this brewer produces: deep, developed sugars and a thicker body, with a consistently rounded acidity. While the acidity is less “pointed” and forward than a V60 pourover, we find the flavors of each coffee’s cup profile to be better articulated with this brewer.